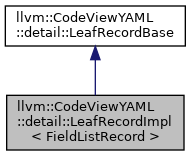 Definition at line 107 of file CodeViewYAMLTypes.cpp. Definition at line 108 of file CodeViewYAMLTypes.cpp. Definition at line 449 of file CodeViewYAMLTypes.cpp. Definition at line 114 of file CodeViewYAMLTypes.cpp.